19th century bergère stool. 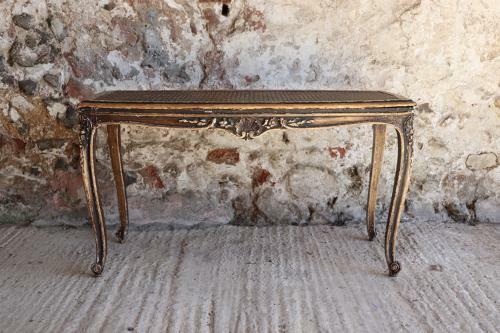 Very pretty with traces of original paint on sides and legs. Completely sturdy but probably best to be at the end of a bed and not actually used for seating!